This is the bread and butter of what we do and can get pretty monotonous at times. However, corners should never be cut and an examination should be as thorough as possible. Presenting symptoms can tell you more than the actual examination sometimes, do not skim over the questions here! Hello, nice to see you, what´s brought you in today? Check up or are you having any concerns? Last Eye Exam (LEE) and age/condition of current spectacles if they have any. 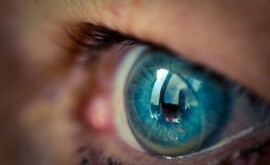 Are they a contact lens (CL) wearer, if so type and modality? Patient General Health (PGH). Any health problems for example Diabetes, Hypertension, Thyroid issues or Asthma? Family General Health (FGH). Any Diabetes or Hypertension in the family? VDU user? How many hours per day? What part/s of the head? Dull ache or sharp pain? Any visual symptoms? Migraine sufferer? How are they relieved? Painkillers? Self relieve? When did they start? New or longstanding? Small and few or large and many? Are they noticeable all the time? Any flickering/flashes that accompany them? One eye or both eyes? Can they isolate the area of the eye where they experience the flashes? Any floaters or other disturbances that accompany them? Normally using the Snellen chart, check the best corrected VA if the patient has spectacles or contact lenses and if not, check their uncorrected vision, preferably RE, LE and Binoculary. Check this at distance and at near, with their spectacles if they have any. If the patient has symptoms, use a prism bar to measure any deviations. I check this regardless of any symptoms. If the patient does have symptoms I would combine this with a cover test to try and isolate the affected muscle. 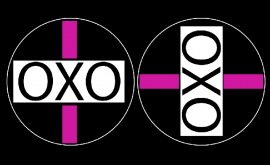 PERRLA (Pupils equal, round, react to light and react to accommodation) direct and consensual. Conduct a swinging light test and if all ok, record – no relative afferent pupillary defect (RAPD). This can be subjective (Patient responds as to whether a lens improves or worsens the VA) or objective (a retinoscope or autorefractor is used to find the prescription). Ideally use objective method and fine tune with subjective. This is achieved using either contact tonometry. The pressure is measured by calculating how much force (be it the probe with a contact tonometer or a puff or air in the non contact tonometer) it takes to flatten a small predetermined area of the cornea. Examples include the Goldman Tonometer or Perkins (handheld version). Non contact Tonometers include the ‘Pulseair’ or Nidek Non Contact Tonometer. They are not as accurate as the contact method. 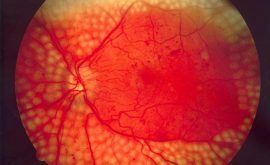 IOP is checked for many reasons but is mainly checked to screen for Glaucoma. The gold standard is the Humphrey Visual Field Screener but there are many different Perimeter’s out there which do a very similar job. Visual Fields are now compulsory on every patient in Scotland (even Children need a basic confrontation done). 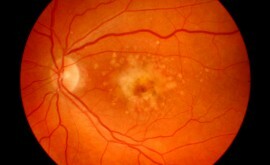 Adult choice of test depends if they are symptomatic or they have a family history of Glaucoma. A basic screening test can be done for any asymptomatic patient (eg C40) and typically for headaches a sitafast 24/2 or FF81. To investigate possible Glaucoma, a full threshold or sitafast 24/2 would be used. NOTE: Visual fields will be covered in more depth in a later article. The routine eye examination can be very straightforward or be quite challenging. Patients vary greatly and we come across potential language barriers, mobility issues or just very difficult patients in general. It is important to be able to adapt the examination depending on the individual. Anyone can walk through your door and present with potentially sight threatening symptoms. If this occurs, we must be ready to act accordingly and feel confident with our skills. A thorough H+S is essential and take the extra time to really listen and explain all to the patient. At the end of the examination I dedicate the last 5 minutes to go over all we have done and what they are to do next (in terms of buying glasses/being referred to HES if necessary or any follow ups that may be required). It’s useful to ask whether they have any questions also prior to leading them out of the test room.